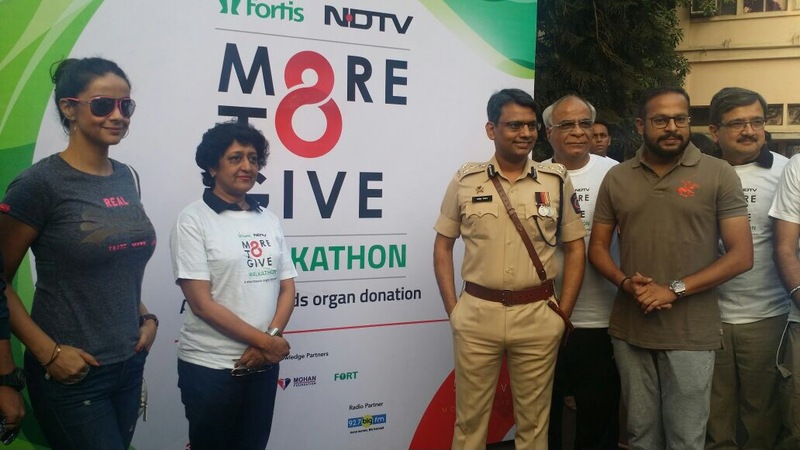 Mulund, Mumbai, November 26th 2017: Teams across Fortis Hospitals, Mumbai organized the ‘More to Give’ walkathon on Sunday, which is part of the national initiative aimed at sensitizing communities about Organ Donation. Currently in its second edition, the initiative was launched in an effort to create a movement for the people, by the people, to build a cause that will build a healthier nation. 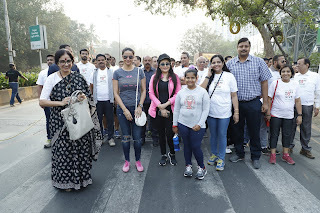 The Mumbai edition of the walkathon was flagged off by actress and activist Gul Panag, Hon. Rajesh Pradhan, IPS, Deputy Inspector General, Mumbai and Neil Somaiya, Municipal Councilor from Mulund, along with the medical and non-medical teams from Fortis Hospitals, Mumbai. 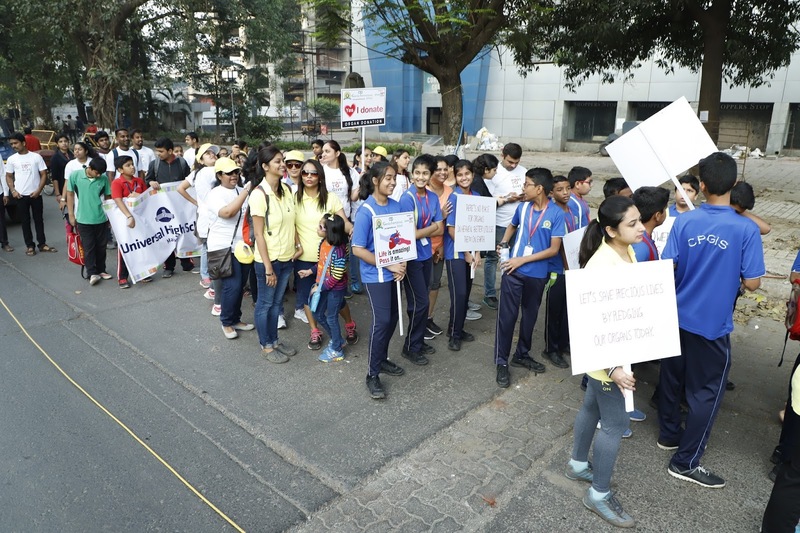 The 3.2km walkathon which commences and concluded at Fortis Hospital, Mulund, witnessed over 700 participants coming together with much gusto; the activity garnered over 450 Organ Donation pledges. Aimed at generating a dialogue with the common man about the cause of Organ, the initiative witnessed participation from various community clubs, scout & guide groups, senior citizen’s groups, schools, colleges and NGOs. The event was also graced by Dr Anvay Mulay, Head of Cardiac Transplant Team, along with the nursing and clinical teams from Fortis Hospitals, Mumbai. Every year, about 5 lakh people die awaiting organ transplants due to non-availability of organs; in Mumbai alone, according to Zonal Transplant Coordination Centre’s (ZTCC) latest report, at least 3,700 people are on the waiting list for getting an organ. Thousands of lives could be saved if the community rises to the cause and pledges to donate organs. Speaking about the cause, actress & activist Gul Panag said, “I feel very strongly about the cause, in support of which, have pledged my organs too. I am honored to be a part of this movement, and hope that the society rises-up to the occasion. It is only right for each of us to be informed about the cause and make an affirmative and progressive decision”. Speaking about the cause of organ donation, Dr Anvay Mulay, Head of Cardiac Transplant Team, Fortis Hospital, Mulund, who conducted Mumbai’s first successful heart transplant in August 2015, said, “A single donor can help save and enrich lives of over 8 recipients. This will help in bridging the gap and enriching the lives of many. We have definitely seen a rise in organ donations in the recent past, however we have a long way ahead of us. We are heartened to see so many Mumbaikars take to the streets; definitely a progressive step towards strengthening the cause”. Echoing Dr Mulay’s sentiments, Dr S. Narayani, Zonal Director, Fortis Hospital, Mulund, said, “The ‘More to Give’ initiative has helped us garner 8000+ pledges in the West zone alone, and the numbers are rapidly growing. Our hospitals in Mumbai have successfully conducted Heart, Liver, Kidney and Corneal transplants over the past years, which wouldn’t have been possible without the support from donor families, who have set golden examples for us all to follow. We remain grateful to such families who have help save and enrich the lives of many”. 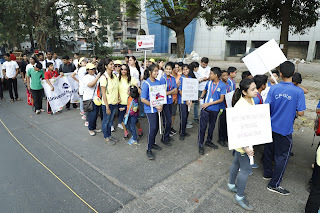 The crusade to spread awareness on organ donation was not limited to Mumbai alone. Nationally, about 8000 participants from Mumbai, Delhi, Chennai, Bangalore, Jaipur, Mohali and Gurgaon participated in the walkathon, pledges are being counted for.